My service here exclusively on SEOClerks is to create you 50 PR9 and 25 EDU/GOV manual back-links to your website from authority domains. 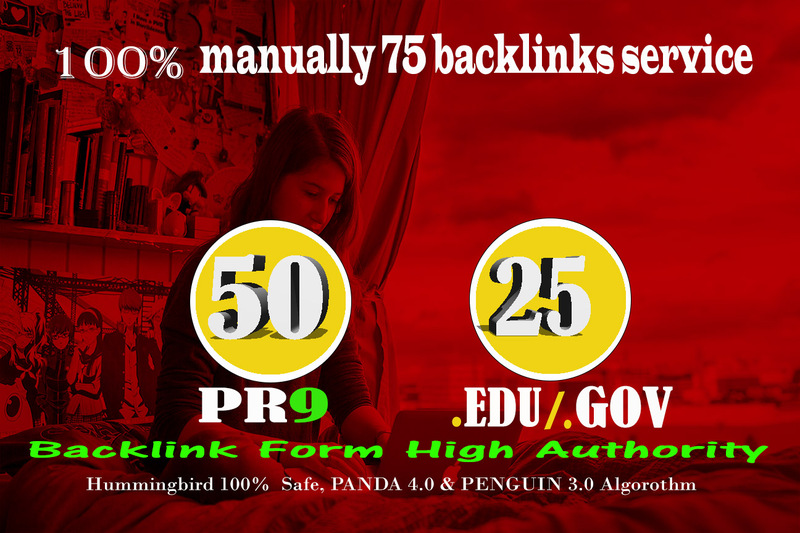 Manually create 50 PR9 and 25 EDU/GOV backlinks from BIGGEST INTERNET AUTHORITY SITEs- LIKE TED.com or MIT.edu. Successfully SELLER ON SEOClerks.100% trusted and POSITIVE backlinks SERVICEs.